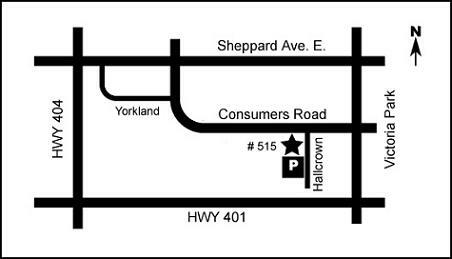 Our office is located at 515 Consumers Road, Unit #101, in Toronto, Ontario. Pay parking is available on premises. Enter the parking lot from Hallcrown Place.